Nissan became the latest automotive heavyweight to enter the esports space this week, announcing brand partnerships with both OpTic Gaming and FaZe Clan. Generation Z and millennials are approaching the age where, as an esports audience, they have become a more suitable demographic. This new influx of partnerships with automotive brands comes at a time where the esports audience can make the most of and appreciate it, mainly due to their more disposable income. The Japanese carmaker will have its branding featured on the player jerseys of both teams, providing vehicles in return to be used for content creation purposes - Nissan’s Armada, Altima, Kicks, and Leaf lines will all be featured in turn. Nissan previously sought to “introduce themselves” to the esports audience back in 2013, working with (the now rebranded) Team Curse to produce an online video campaign. It’s safe to assume that Nissan’s 2013 foray into esports did not provide value for their investment, considering the Japanese automaker remained entirely dormant in the esports space for the next six years. So what has encouraged them to return now? Nissan’s return to esports comes at a time when a number of automotive brands are announcing significant partnerships with esports organisations. Earlier this month, BMW’s Southern California dealership group signed a sponsorship deal with Cloud9, while American Honda partnered with Team Liquid back in January. 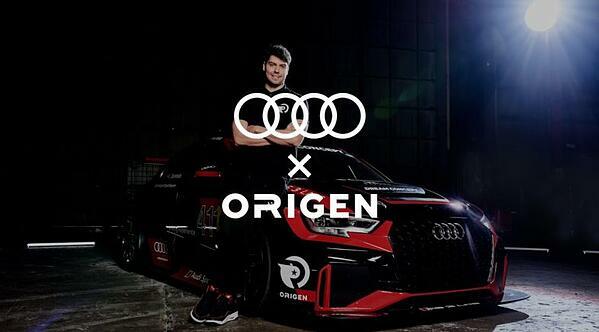 In Europe, KIA announced partnerships with both Fnatic and the League of Legends European Championship, as Audi continued their long-standing arrangement with RFRSH brands, Astralis and most recently, Origen. Commented Thomas Glas, Head of Sports Marketing at AUDI AG. The reasoning behind this influx of automotive brands is the maturing of the esports audience, comprised majoritively of Millennials and Generation Z. As Nissan’s Robert Cross astutely identified, streaming and esports is an enormous opportunity now. When Nissan first attempted to activate in the esports space back in 2013, the industry - and more importantly its audience - were still in their adolescence; the industry was not achieving the viewership numbers it is now and the audience - compromising largely of students - did not have the disposable income it has today. As Generation Z approaches its 20’s and millennials begin to establish themselves as young professionals, the esports audience is now at an age where it is a suitable demographic at which to market a more mature range of products - including financial, luxury and namely, automotive products. Within CLICKON’s forthcoming Esports Insight Report, we will further examine this shift in demographics within the esports audience: no longer can this group be categorised as simply gaming students and teenagers, but rather an audience comprised of young, business professionals - for whom buying a car is quite likely to be a genuine consideration. CLICKON expects to see a continued shift in the type of brands entering the esports space. Whilst endemic brands will maintain a presence - think energy drinks and gaming peripherals - brands offering bigger-ticket products and services will become more prominent, targeting the now-matured, young professional, esports audience. ← It's Not A Mobile First World, It's A Mobile Only World.